Whether you unexpectedly lost your job or had an accident or illness that resulted in expensive medical bills, there are many reasons why you might have bad credit. Having bad credit can affect many aspects of your life, especially when it comes to your ability to apply for car loans. Many banks require a good to excellent credit score or a sizeable down payment when you apply for an auto loan, and those with poor credit tend to get turned aside. If you find yourself in this situation, our dealership has a number of ways to help you buy the preowned car you need, even if your credit is less than perfect. You might think that because you have bad credit, car ownership is now out of reach. However, our financing department can help. Our car loans do not require bank approval and we can offer you affordable rates that are a good fit for your current budget, even if you are only just getting back onto your feet financially. Our auto loan department goes the extra mile to find loans that suit your current financial situation. For example, the maturity of a loan can be extended to up to six years in some cases, which lowers your monthly payments. Other loans feature low or adjustable financing rates that allow you to have more flexibility when it comes to making a purchase. For example, if your budget is better suited to a two- door model but you need a four door or SUV model for your family’s size, our finance department will work hard to secure a loan that will allow you to buy the car you need, not the car your credit score says you can afford. 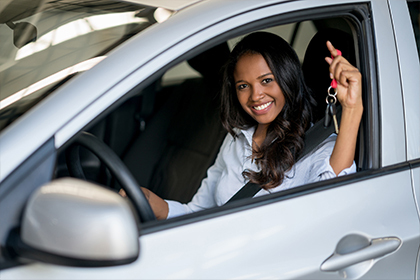 Car ownership does not have to be an impossibility when you have poor credit. Visit us today to explore which financial options and car loans can make your dream of owning a car a reality.